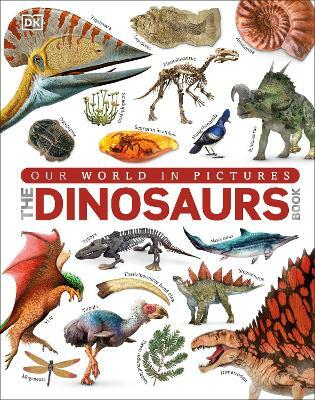 Everything you need to know about dinosaurs, pterosaurs, marine reptiles, and mammals in this stunning prehistoric encyclopedia for kids.With more than 1,000 images and fascinating facts, The Dinosaur Book brings young readers face-to-face with some of the most incredible creatur... read full description below. Everything you need to know about dinosaurs, pterosaurs, marine reptiles, and mammals in this stunning prehistoric encyclopedia for kids.With more than 1,000 images and fascinating facts, The Dinosaur Book brings young readers face-to-face with some of the most incredible creatures ever to exist. Using a range of full-colour images, including spectacular fossilised bones and realistic digital reconstructions, all forms of prehistoric life are covered. The Dinosaur Book includes important, recent prehistoric finds such as the amazing discovery of a 110 million-year-old dinosaur named Nodosaur as well as some of the remarkable feathered dinosaurs recently unearthed in China!Young readers can find out too, about the latest scientific discoveries that have changed the way we see these fascinating prehistoric animals - from new feathered dinosaurs to how and where they lived.